FDA To Take Another Look At Essure Contraceptive Device After Health Complaints : Shots - Health News Thousands of women say they've been harmed by the permanent contraceptive. But it's unclear whether the problems were caused by the device. The Food and Drug Administration is taking a closer look. Amanda Dykeman, 33, of Coal Valley, Ill., had Essure devices removed after having multiple health problems. When Amanda Dykeman was certain she was done with having children, she had two options for permanent birth control: surgical sterilization, which typically involves general anesthesia and a laparoscopy, or Essure, the only nonsurgical permanent birth control option approved by the Food and Drug Administration. She chose Essure. And she says her life has never been the same. "Physically, it has permanently ruined my body inside and out," said Dykeman, now 33 years old, of Coal Valley, Ill. "Mentally I've never been stronger. You have to force yourself to be, or you'll never make it." The Essure device is a permanent form of birth control that is implanted in the fallopian tubes. 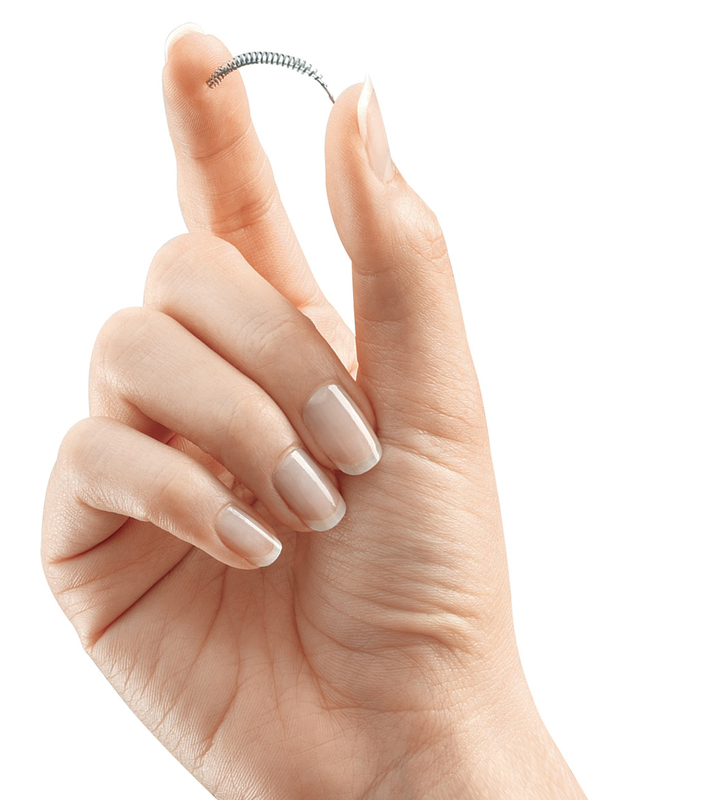 Essure, approved by the FDA in 2002 for women ages 21 to 45, is a very soft, flexible metal spring made from a nickel-titanium alloy. OB-GYNs insert one Essure coil into each fallopian tube. Over the next several months, scar tissue grows around it, thereby blocking the tubes and preventing eggs from becoming fertilized or making their way to the uterus. Women must return three months after the procedure for a follow-up X-ray using dye to confirm that the tubes are fully blocked, at which point the method is considered 99.83 percent effective. After undergoing the implantation of the device in September 2010, Dykeman experienced a range of symptoms: chronic fatigue, migraines, joint pain, digestive issues, back pain, heavy periods full of clots, difficulty concentrating, abdominal pain, hair loss, tooth deterioration, depression and such severe bloating she sometimes refused to go out in public because she feared being asked if she was pregnant. She attributed most of these to simply aging until she missed a period in July 2012. 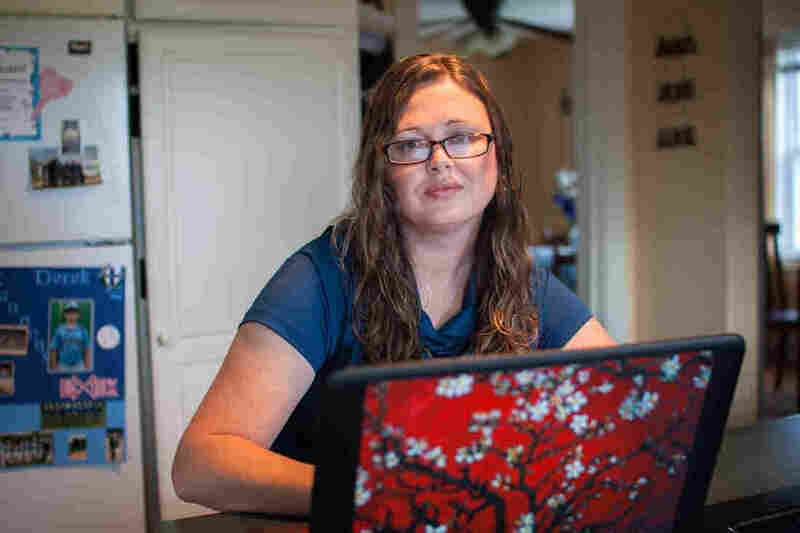 She found her way to a Facebook group then of more than 18,000 women who have experienced similar problems and others, ranging from mild to serious, that they attribute to Essure. Although Essure is designed to be permanent, many of the women, like Dykeman, have had it removed. The women call themselves "E-sisters," and they are frustrated that their doctors, the FDA and Bayer, the manufacturer of the device, have dismissed their concerns for years. For its part, Bayer said the product passed a detailed analysis by the Food and Drug Administration before the company could sell it. "Essure was reviewed through the premarket approval process for Class III medical devices, the most stringent type of device marketing application, according to the FDA," said Tara DiFlumeri, a spokeswoman for Bayer. "We don't understand," Dykeman said, "if all of these women are reporting the same symptoms, why aren't we being taken seriously?" Now the FDA is taking them seriously. The agency updated the short- and long-term risks listed on its website, as well as adverse events reported through May. The FDA also scheduled a public advisory meeting of its Obstetrics and Gynecology Devices Panel on Sept. 24 that will bring together experts, physicians and patient and industry advocates to review the data and hear public comments from women. It isn't yet clear what questions the committee will consider. Possibilities might include whether Bayer will need to amend labeling or whether additional studies are needed, among other possibilities, said FDA spokesman Eric Pahon. "I'm anxious to attend the hearing and demonstrate everything we've learned about Essure and its safety and efficacy over the years," Dykeman said. "If the right people are in attendance and they really listen to what we have to say, I believe they will have no choice but to take some kind of disciplinary action." One big question that will hang over the meeting is whether Essure actually causes many of the problems these women are experiencing, and how common these problems are. According to Elizabeth Micks, an OB-GYN and contraception specialist at the University of Washington Medical Center in Seattle, women commonly complain about various concerns that they attribute to their method of birth control, even if their method cannot feasibly cause some of those complaints. "Some are valid, and some may not be valid, and it's hard to really know in some cases whether the method is causing the patient's complaints," Micks said. "I think it is very clear that some women have been harmed by the Essure device. Whether that means it should not be an approved method isn't clear." Based on clinical trial data, approximately 9 percent of women experience mild to moderate pain during the procedure, and 13 percent experience it immediately afterward. Other known effects immediately after the procedure include cramping, vaginal bleeding, nausea, vomiting, fainting and pelvic or back pain for several days. Rarely, the body can expel a coil. Long-term risks include rare cases of chronic pelvic pain; allergic reactions to the nickel; a coil that perforates the fallopian tube or uterus; or cases where the coil migrates through the tubes, requiring surgery. Women with Essure also have a higher risk of ectopic pregnancies. A five-year study of the device after it went on the market didn't reveal any new safety concerns — such as extreme fatigue, depression or weight gain — or an increase in known ones, the company reports. Insufficient data is among the primary complaints of the E-sisters, Dykeman said, especially since most research to date has been funded by Bayer or by Conceptus Inc., the company that developed the device and was then acquired by Bayer. Micks also said she would like to see more data on long-term complications. The longest study currently available is a 10-year retrospective study, which primarily focused on pregnancies and the method's effectiveness. Another seven-year retrospective study found a low risk of complications. "Most of the data we have are from the clinical trials, and you can't necessarily go by the clinical trial data in looking at complications because obviously some women in real life practice aren't following up, so we don't really know if they have a malposition of their coils," Micks said. "It's frustrating to be told we don't have the data, but I feel like the terrible cases I've seen are really people who were not properly informed about the risks and benefits ahead of time. I think the bigger problem is what physicians are communicating with patients." Dykeman's pain and symptoms led her to request a hysterectomy in May 2013. Her surgical report included chronic inflammation of the cervix, several attached blood clots and a photo showing a coil outside her left fallopian tube. Although her symptoms improved after her hysterectomy, they have not all vanished. She still experiences chronic fatigue, back pain, digestive issues and bloating. "I was recently told my entire abdomen is full of adhesions that attach my organs together with bands of scar tissue, making it hard for my food to digest," she said. According to Bayer spokeswoman Rosemarie Yancosek, the company has read the personal stories from women about their experiences with Essure. "These stories, while compelling, are not representative of the hundreds of thousands of women who have relied on Essure since its FDA approval in 2002," she said via email. "Given there has been a great deal of interest in the safety of Essure among some patients, we welcome this open dialogue with health care providers, patients, researchers, representatives from professional societies and other members of the public to review and discuss available data regarding the benefits and risks associated with Essure," Bayer spokesperson Tara DiFlumeri said in another email. Micks said she has definitely seen complications from the device, including ones where the physicians clearly deviated from standard clinical practice. In one recent case, a woman's follow-up X-ray showed improper placement of the coils. But instead of laparoscopic surgery to address the issue as should happen, the patient — who ultimately became pregnant — underwent the Essure procedure a second time and was later found to have three coils perforating the uterus on one side. "In medicine, anything that can go wrong will go wrong, so it's a matter of looking at numerators and denominators," said Dr. Jeffrey Jensen, director of the Women's Health Research Unit of the Center for Women's Health at Oregon Health and Science University in Portland. Jensen has consulted for Bayer HealthCare for many years, but not on Essure. He is also working with other researchers to make a better, cheaper alternative to Essure using grant funds from the Bill & Melinda Gates Foundation. The denominator, in this case the number of people who have Essure, is well-established. Approximately 750,000 women have been implanted with the device, Bayer reports. It is the numerator, or the people who have problems with the device, where the numbers get fuzzier. Patients and doctors can report problems that occur after implantation of a medical device to the FDA's Manufacturer and User Facility Device Experience database. However, the device surveillance system is passive, which means anyone can report anything that happens, whether it is related to the device or not. Further, some problems may be double- or triple-reported, while others may go unreported entirely. Since Essure's approval, the FDA has received more than 5,000 reports of medical problems linked to Essure, primarily abdominal pain, headaches, fatigue and weight fluctuations, the agency said. In more than 400 accounts, patients or doctors have reported that Essure coils migrated from the fallopian tubes to other parts of the reproductive system. There have been five reported fetal deaths after Essure failed to prevent pregnancy. Again, however, it is unknown how many of those 5,000 reports are duplicates, and how many are problems caused by Essure. Further, any problems associated with Essure would have to be compared against the risks of laparoscopy, pregnancy and other forms of birth control. "Essure is not perfect, but no method is," Oregon Health and Science University's Jensen said. "It is an important option that should be available to women as an alternative to general anesthesia and laparoscopy." Jensen hopes the FDA will allow the product to continue being used, but whatever the agency decides, it should be based on data, not case reports, he said. "The individual who posts on the Internet or gets interviewed about her unique problem is one in the denominator of the hundreds of thousands of these procedures that have been completed safely worldwide." What is clear is that women need good options for contraception, the University of Washington's Micks said. "We know that pregnancy exposes women to a whole host of medical problems and has a huge impact on their lives," she said. "Contraception is life and death for women." Tara Haelle is a freelance health and science writer based in Peoria, Ill., and is on Twitter: @tarahaelle. She is also the medical studies core topic leader for the Association of Health Care Journalists. Based on information from the FDA, this story previously said an FDA advisory committee would consider whether Essure should be removed from the market. The FDA now says that question will not be considered.